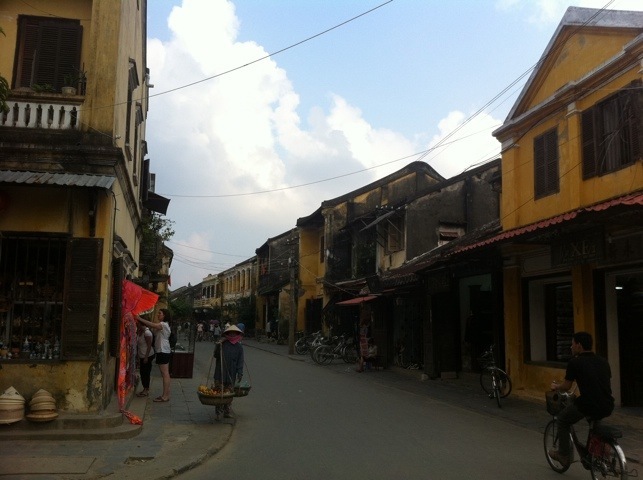 Arriving in Hoi An, Laura pointed out that it seemed we’d taken taken a wrong turn and ended up in Disneyland. The streets were free from traffic, and full of groups of white tourists wandering round taking photos. 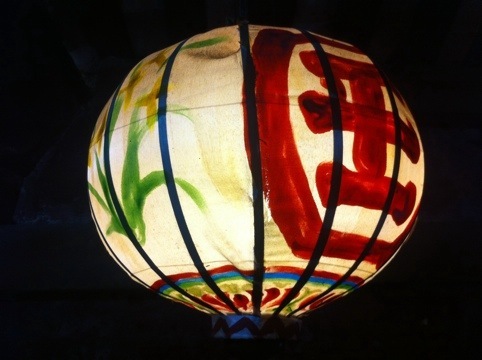 All the buildings were beautifully maintained, a fabric of mustard yellow walls hemmed in by dark wooden beams, with dangling red chinese lanterns. There were street vendors on each corner, offering drinks and snacks – and ponchos when the downpour started. Even the locals seemed to be in costume (although not cartoon style), with far more of the Vietnamese cone bamboo hats than we’ve seen elsewhere. In little squares on street corners there were ‘cultural performances’ being put on for the tourists. Oh, and there was piped music playing in the streets, a background of classical strings and asian singing. Bizarre! Fortunately, the town’s savings grace was in what it was missing from Disneyland: no McDonalds, fairy castles, or Mickey Mouse – although there were a few rats around! 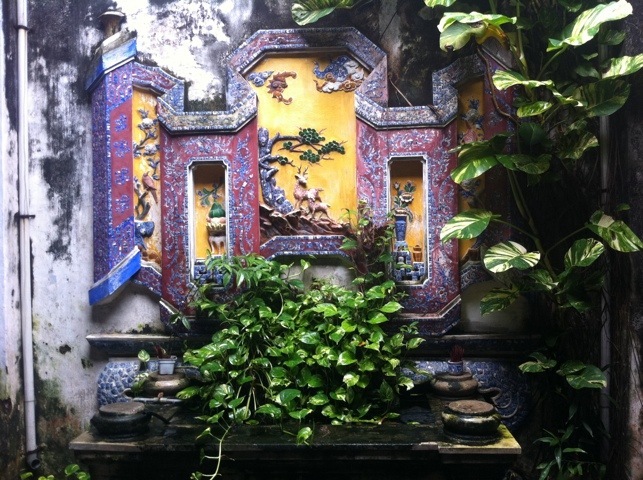 The town is a UNESCO world heritage site, an ancient port and former trading gateway to much of South East Asia’s interior, sitting on the banks of a large river estuary. 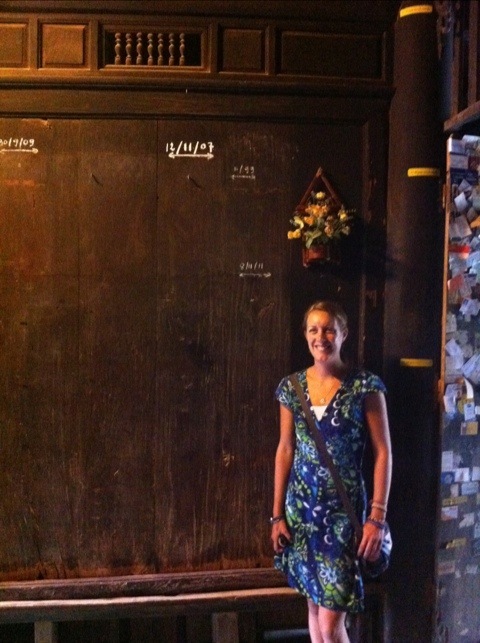 It frequently floods as typhoon waters flow downstream from the nearby central highlands; our friend Sarah was here a week ago when the three streets nearest the river (most of the old town) were all under water – you can see the high water mark above Laura in a house we visited in the photo below! somewhat of a facade for foreigners, but we did quite like the old part of town, with its interwoven patchwork of Chinese, Japanese and Vietnamese influences that had stemmed from distant traders settling permanently. It’s visually stunning, there’s a mouthwatering range of food, and it was wonderful to escape the drone of motorbikes we’ve had elsewhere – at times, you could hear a pin drop. There’s also a good smattering of historic sites to visit, the most famous being the Japanese Bridge. The story goes that a Japanese earthquake had been attributed to a dragon with its head in India, tail in Japan, and heart in Hoi An. Coincidentally also providing the opportunity to span the river, the bridge was primarily constructed to pin the heart of the dragon down and prevent further catastrophes. I just hope the slightly dilapidated state of the bridge today was not connected with the disaster earlier this year! Elsewhere in the town are a set of five Chinese Assembly Halls, one for each of the different minority groups settled in the town. Going round a couple of these gave us a lovely flashback to our time in Beijing, with such glorious reds and golds and wonderful painted dragons on rooftops. 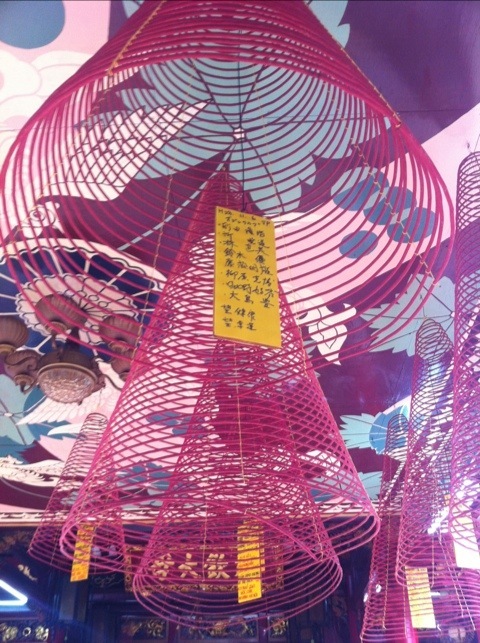 They also had something striking we haven’t seen anywhere before – an array of huge coils of incense suspended from the ceiling, each with a memorial card hung inside. These were maybe a metre tall and a metre in diameter, very slowly filling the space with sweet smoke in memory of those that have passed away. We also popped round an old house in the city, where we came across a ‘Confucius cup’, which preaches moderation by only functioning when less than 80% full. I’m not sure how well it would go down in pubs back in the UK though! 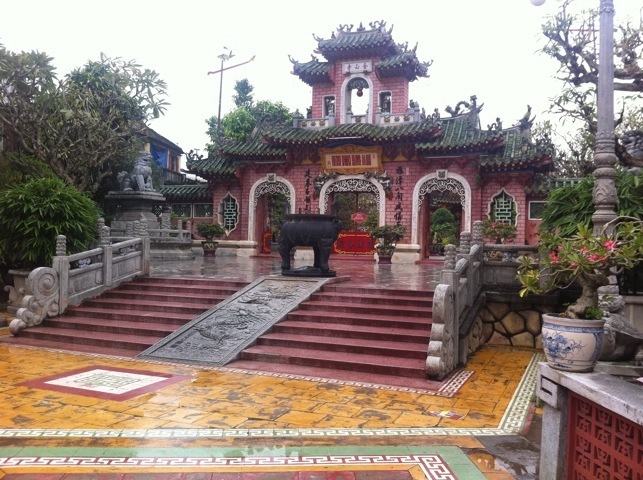 Another thread of history running through the area is that of the Champa dynasty and the holy site of Mỹ Sơn (pronounced mi sun). An expansive set of Hindu towers and temples, it was occupied by the Viet Cong during the American war (as they call it here, ‘Vietnam War’ doesn’t make much sense without context). 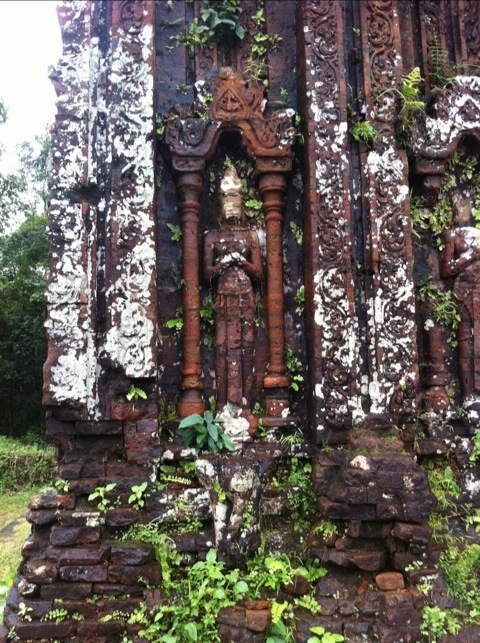 As with much of Vietnam, this meant it was victim to heavy B52 bombing, and little of the site is still intact today. The ruins were interesting to look round, even if only as a glimpse of what once was – and to get some great photos of temples overrun by greenery. 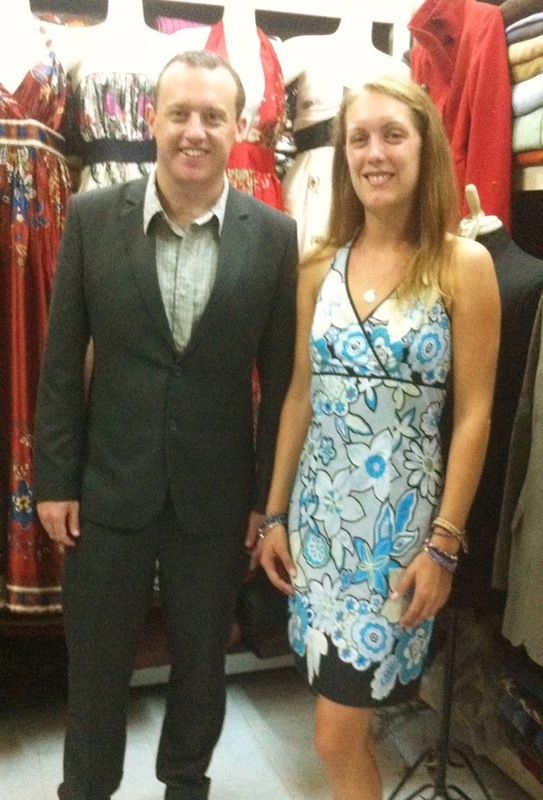 Finally, the city’s the place to come in Vietnam for personal tailoring, with a seam of shops offering a bewildering range of suits, coats, dresses and skirts at bargain prices. It felt like we got one of everything! Over the course of a hectic afternoon, Laura got dresses and a skirt, I got a suit, and we got some trousers and a coat for my sister. Each of these was custom made to order, some by the next day, and some the same day. Amazing! I’ve never really been to a tailor before. It turns out there are a lot of questions you have to answer if you want a suit, or at least you need a Laura to help deflect them. Styles, colours, material, pleats, vents, pockets, piping, lining – and that’s before the 101 different dimensions for fitting! Anyway, we were both pretty pleased with the result – you can see us modelling our new clothing below. Feeling much smarter, we set off for Hue, safe in the knowledge that at least we’ll have some clean clothes when we finally make it back home! The feeling of excitement and optimism vibrating in the air with the build up to Diwali intoxicated and seduced me, finally making the allure of a beautifully colourful sari too much to resist. 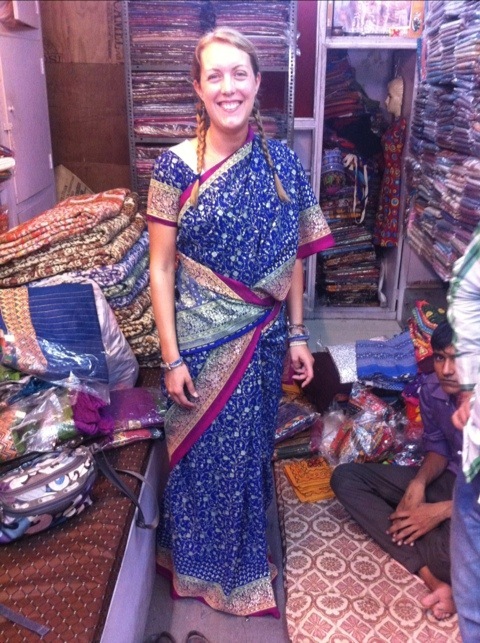 With the main celebrations only a day away I threw myself into the unknown world of sari shopping with gusto! With absolutely no idea what we were doing Simon (who was very patient and helpful, and could probably now offer you some good advice on Indian textiles) and I allowed ourselves to be led into one of the hundreds of sari shops in the bazaars of Jaipur. Following the shop keeper upstairs we found ourselves surrounded by shelves of sparkling fabrics of every imaginable colour. With no notion of desired fabric or design we began with the only criteria I had decided on: colour, it must be bright blue (or maybe purple)! When shopping in the bazaars sari sellers will inevitably begin showing you the most expensive fabrics first, working our way down from intricately embroidered yards of silk to the polyester/silk blends and finally cotton. We ended up surrounded by mounds of material with a vague idea of what one may be able to purchase for 1000 rupees (about £13). We thanked the shop keeper, making vague promises to return and accepting his business card stepped out of the door. We repeated this process at a range of establishments until we felt well versed in the variety of saris available and how much they could be bought for. A sari that you are being quoted “final price” 1000 rupees for inside can become a desperate “ok, 400 rupees!” as you walk out the door. At around the 5000 rupee mark you can acquire a stunningly decorated pure silk, crepe or net sari with beautifully embroidered borders, ornamented with sequins, beads and appliqué flowers. For 1000-2000 rupees you can purchase a range of saris in silk, chiffon, or georgette (a silk and rayon blend) with some lovely embroidery although obviously lacking the detail of the more expensive saris. For under 1000 rupees (you do have to bargain) you can still choose from a beautiful selection of patterned polyester silk, block or hand printed georgette or rayon, and vibrant tie-dyed and printed cotton cloths (the cheapest option – you could probably beat the price down to around 200 rupees). Of course more elaborate and expensive saris can run into the hundreds of thousands of rupees, and the more you pay the better the quality should be, however I was happy to compromise on quality for cost! For the novice sari wearer a sari is a length of fabric around 6 m long and 1 m wide that is wrapped once around the waist, then folded in a concertina fashion to form pleats at the front of the skirt, before continuing around the upper body and draping the final length (the palloo) over the shoulder. The skirt of the sari it typically tucked into a drawstring petticoat, whilst a cropped, fitted blouse (a choli) is worn under the top part. Most saris come with enough extra fabric for the blouse to be cut from (it may be worth asking before buying), alternatively you may be able to purchase some complimentary fabric to have a blouse fashioned from or even possibly buy a pre-made blouse. 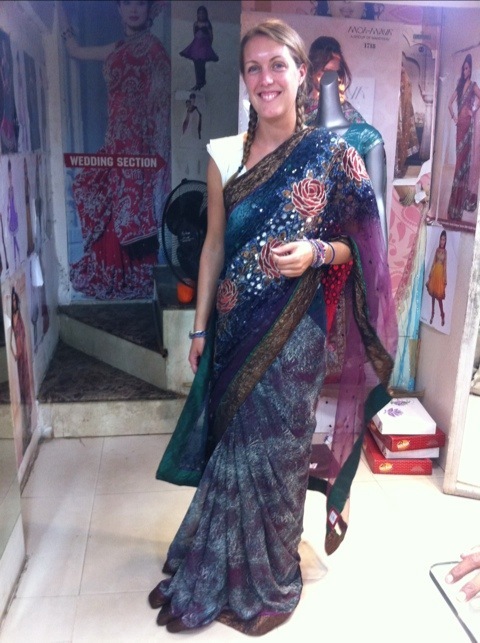 Having successfully chosen your sari you will need to take it to a tailors to get the blouse made up and the sari hemmed. The shop keeper will probably be able to recommend a tailor and give you an indication of price and how long it should take. Wanting my sari for the next day I didn’t have time to shop around for a tailor so I went through the shop who guaranteed to have it ready in three hours. It’s worth bearing the tailoring costs in mind (my sari cost 500 rupees and the tailoring an additional 550 rupees) when haggling for the fabric. As an inexperienced sari wearer I opted to have my sari made “ready to wear” meaning that the tailor sewed the skirt complete with pleats and lining so there is no need for me to deal with the intricacies of folding and tucking (and inevitable unravelling…). The thing to remember when buying a sari is not to get carried away, if like me you just want something beautiful to wear a few times and to remember your time in India by you really don’t need to spend more than a few hundred rupees. Take your time to explore the different colours, textures and designs before settling on one, remember to haggle and don’t feel pressured to buy something just because they offer you an amazing price as you walk away, buy the sari you want and enjoy it!